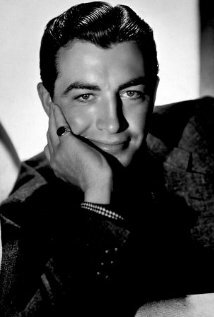 Robert Taylor, actor, born in Filley, NE. Spangler Arlington Brugh, who would later become known as Robert Taylor, was born on August 5, 1911, in Filley, Nebraska.Â One of the most popular leading men of his time, Taylor was first a standout athlete and musical talent at Beatrice High School.Â After graduation, he studied music at Doane College in Crete, Nebraska.Â At first, he was tempted to follow in his fatherâ€™s footsteps, and moved to California to study medicine at Pomona College.Â While there, Taylor also joined the campus theater group and soon found himself cast in leading roles. He started his film career in 1934, after being discovered by an MGM talent scout.Â Taylor appeared in his first movie, on loan-out to Fox for a Will Rogers entry, Handy Andy (1934).Â With over 77 acting credits, he is best known for his powerful performances in Camille (1936), Quo Vadis (1951), and Ivanhoe (1952).Â A long time smoker, Taylor died from lung cancer at his home in Santa Monica on June 8, 1969.Â He was 57 years old.